Champion distributes industry leading Brelko belt cleaning products. Featured below are the "E" series V Plough. Contact us today for orders, quotes and complete product information. 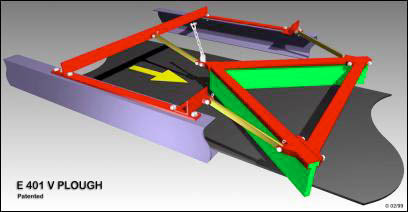 The Brelko V-Plough is designed to be easily installed in a trailing configuration on the inner surface of a conveyor belt return strand just before any nip position to remove and thus prevent any material which has spilled onto the inner surface being carried into the nip. Where material can only be discharged to one side of the conveyor belt use the Brelko E501 angle plough. Unique track mounted scraping blade facilitates easy and quick blade change. 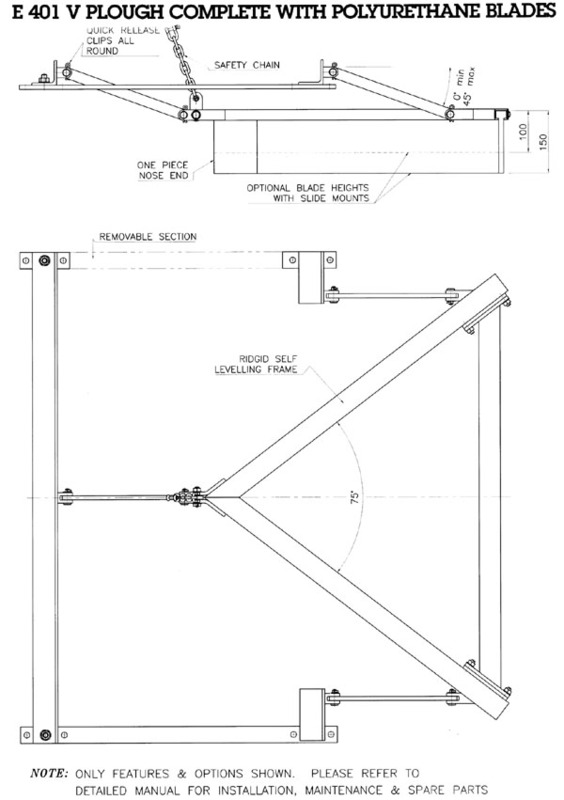 Parallel tri-link mounting allows the plough to move freely thus maintaining contact with the belt. Specially formulated PU blades ensure maximum blade life and minimum belt wear. Unique bolted assembly results in compact packaging for easy transport and installation.